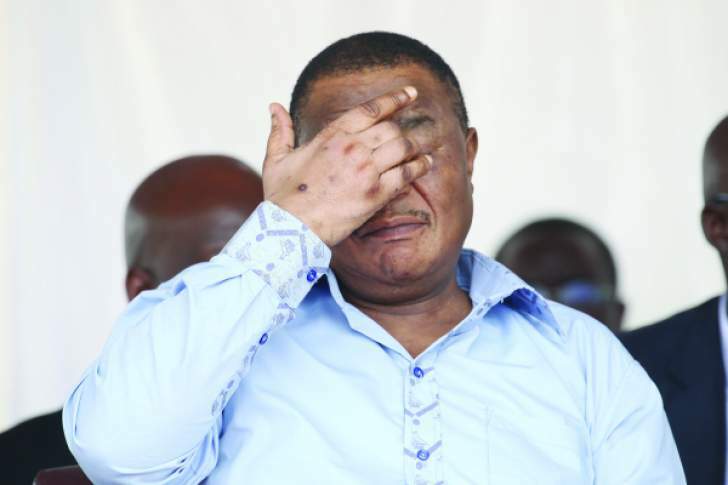 Self-styled Communications strategist William Mutumanje has told President Emmerson Mnangagwa that Zimbabwe's latest problems relating to violence are caused by Vice President Constantino Guvheya Chiwenga. "Mr. President one week ago your government butchered innocent men and women." Mutumanjue said. "It was NOT the right thing to do to announce a fuel hike and run. It's not the announcement or running that's crazy, it's who you left in charge. Musadaro mudhara! Tinopera kufa." Mutumanje whom is alleged to be working with embattled Ambassador Christopher Mutsvanga to mastermind the ousting of Vice Chiwenga has been vocal in seeking to brand the Vice President as a ruthless or incapable person. A faction of ZANU PF which is alleged to be aligned to Ciwenga is reported to have convened a meeting at Chiwenga's farm over the weekend to discuss processes of impeaching Mnangagwa whom they regard as too weak and too compromising and not consistent with their values. The plot was out Gokwe-Nembudziya Member of parliament Mayor Justice Wadyajena who took to Twitter to expose that the faction lacks numbers to impeach Mnangagwa.